As integral part of NMUG – Navi Mumbai User Group , I am happy to announce NMUG is now SQL PASS official chapter of Mumbai and Navi Mumbai area. In this post we are covering following points for PASS , As this post is completely dedicated to it ! How NMUG is associated with PASS ? The PASS community includes any individual or group throughout the world that uses the Microsoft Data Platform. Our global membership of more than 120,000 transects numerous diverse disciplines and roles. PASS belongs to each and every data professional who joins PASS. This website provides you with a virtual link to all PASS members, but you can also benefit at the local level by joining a PASS Chapter and meeting in-person with other data professionals in your area. In addition, you won’t want to miss the annual PASS Summit, the single largest gathering of Microsoft SQL Server professionals in the world, or the PASS Business Analytics Conference, which brings together analysts and IT pros from the world of business intelligence and analytics. And check out our SQLSaturday events happening nearly every weekend – there’s sure to be an event coming soon to a location near you. After complete one week discussion between Niko (Community Evangelist | PASS Headquarters), Pinal Dave (SQL God , Everyone know him ! ), Jacob (Founder of Beyond Relational) and me.NMUG have signed official agreement with PASS for Mumbai & Navi Mumbai area. In this talk there also few more great SQL folks were included and also Supporting NMUG. Through the partnership of PASS and Maximum ASP, Web site hosting is available for FREE to your chapter group. What better way to win new members in your group than being eligible to post the official PASS Chapter Logo on your Web site. Each chapter will receive one complimentary registration to the PASS Community Summit for the president or volunteer in a leadership role. Plus, one representative from your chapter will be eligible to participate in chapter leadership meetings and hospitality gatherings in conjunction with the Summit. Further information will be sent in the few months prior to the Summit. Regional Mentor Program – The Regional Mentor program helps new chapters find sponsors, venues, and speakers. Regional Mentors are often chapter leaders themselves and have specific expertise in building SQL Communities. They keep in constant contact with their chapter leaders, offering incentives and building reports to send out to the community at large. Regional Mentors are the best way chapter leaders have to make suggestions on the chapter program and request new resources and programs. To learn more about each Region and its Regional Mentor, click here. Speaking as someone who just started a new chapter, the regional mentor was a big help in figuring out how to organize everything, structure the steering committee, and in general help get everything off the ground. Access to Chapter Leader List Serve. Each Chapter Leader will have access to an exclusive listserve where they can share best practices, and communicate with all chapter leaders world-wide. This is a great way to share sponsor and speaker resources as well as get ideas for new events in your community. Through our partnership with Microsoft, PASS has many contacts with local Microsoft offices that chapters can utilize for support at their meetings. Local offices may allow PASS chapters to use their office space to hold various meetings. Through our partnership with Microsoft and other vendors, throughout the year various items are donated to the PASS Chapter Program. PASS will distribute giveaways to chapters based on availability. These items can be used to drive attendance at your meetings or help reward a hard working volunteer or member.  Besides being able to contact all the PASS chapter presidents via the list server, there are various sessions held at the annual PASS Community Summit, where chapter leaders and volunteers have the opportunity to join together and exchange ideas. So this is request to all reader be associated with NMUG , You will be surely hearing more now onwards.